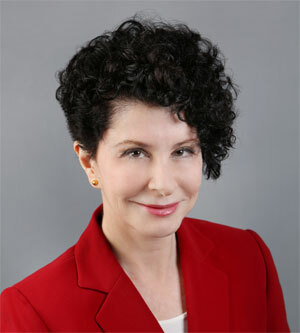 All too frequently, when asked, “What are your exit scenarios?”, many leaders and CEO’s will give the standard pat answer: “We’re going to create a market-leading company with a $1B valuation.” Unfortunately, in situations where market and other conditions intrude, change is too rapid to react to, or management or the board misreads the health of the company, the value of the company, or its desirability as an acquisition can plummet. As a result, leadership may wind up with a forced sale in which equity is lost to shareholders, founders, and management. The way to avoid these forced exit situations is to embrace the possibility of multiple exit scenarios, and to plan to maximize value for a range of alternate exits. It is an essential responsibility of the leader to understand the capital markets environment, and actively lead the End-game Scenario discussion with their board or management, revisiting yearly or more frequently if appropriate. Why, if your goal is to remain a long-term independent company, should you plan for an alternate end game? Because circumstances change, and more than one company that missed a market consolidation marker, or a deleterious change in the market or customers, winds up as a distressed sale. Truly distressed situations are not our subject here but our goal is to stress the importance of planning for alternate exits and help you position and plan so as to avoid the distress sale. Planning for alternative exit scenarios need not be incompatible with growing your business and planning a long and healthy independent existence for your company. The trick to combining these is simple. First and foremost, understand who your likely acquirers would be. They will segment themselves into competitors and partners. Your goal is to develop outstanding relationships with your partners who are also potential acquirers, and to cause market and competitive pain with your competitors who are also potential acquirers. 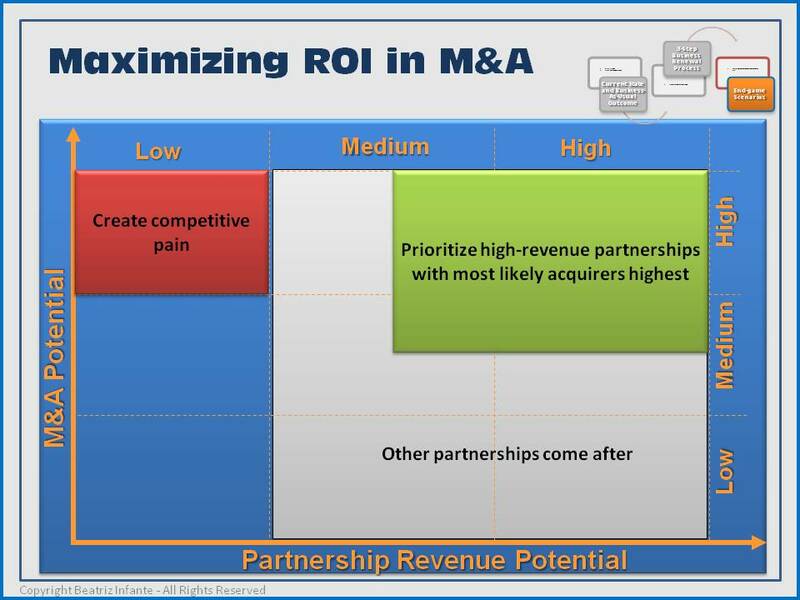 The following chart helps to visualize the integration of your M&A strategy with your partner and competitive strategy. The leader’s focus and company’s efforts should be on the companies in the red and green boxes. The key word is indeed focus: partners who are not potential acquirers should be secondary to those who are potential acquirers – i.e. bring revenue to a small number of partners who may acquire you, thereby increasing revenue per potential acquirer, versus partnering with too many companies and thereby restricting enough revenue critical mass to maximize the M&A attractiveness of your company. Read from the beginning of the series here. Check our our next blog post.